I’m pretty confident that if a poll was held relating to the future of Maurizio Sarri, the overwhelming percentage of the votes cast would be in favour of the Italian being axed. 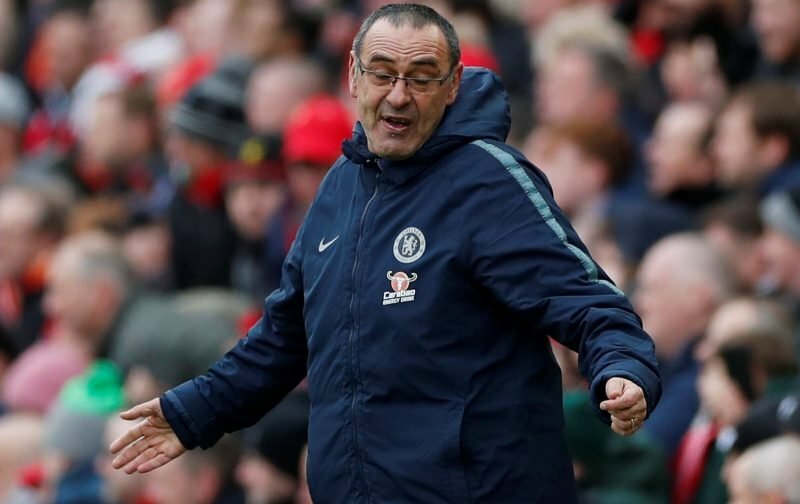 Although Chelsea are handily placed in the Premier League, within striking distance of a top-four finish and a Champions League spot, whilst also being in the last eight of the Europa League, the style of football Sarri has implemented hasn’t endeared him to the support. But it appears the manner in which he goes about things has impressed another possible suitor. Lurking in the pages of the Italian news source, Corrieredellosport, is the inference that Sarri is among the candidates to become the new boss of the Serie A side, Roma. Interestingly, another candidate for the job is somebody we’re also familiar with and also very fond of, a certain Antonio Conte. Now, if I were in charge of Roma, I know which of the two I’d choose, but is it too much to hope for Roma to take Sarri off our hands? Your thoughts on the above subject matter would be most welcome, please feel free to drop your view into the comment facility beneath this article. Sarri should be given another season to adapt and also implement his method rather than piling more pressure on him, after all he his still in the hunt for Europa’s cup medal, and get back to champion league. The race to the top four option is also not completely out of reach.